Kreo Films FZ LLC and Beautiful Bay Entertainment are thrilled to announce the theatrical release pan India on JANUARY 11th , 2019 of Pia Sukanya’s Hindi comedy mystery BOMBAIRIYA starring Radhika Apte, Sidhaanth Kapoor, Akshay Oberoi, Amit Sial, Ravi Kishan, Shilpa Shukla and Adil Hussain. 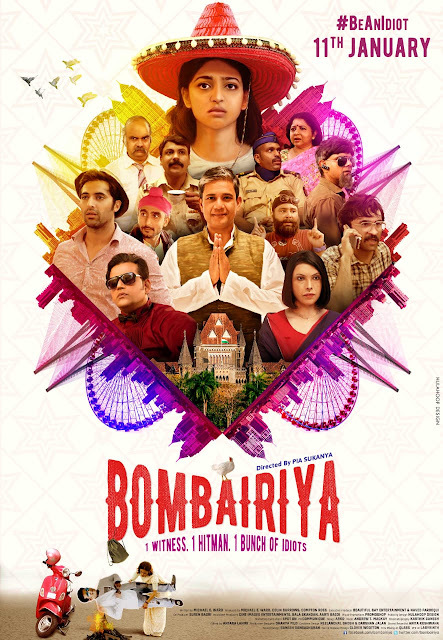 Written and Produced by India-born Michael E. Ward, BOMBAIRIYA is inspired by the 13 years he has spent in Mumbai with director Pia Sukanya, whom he married in the city 5 years ago. The movie is a situational comedy with a pinch of mystery and drama. The genre of comedy juxtaposed with mystery has been very rarely explored.